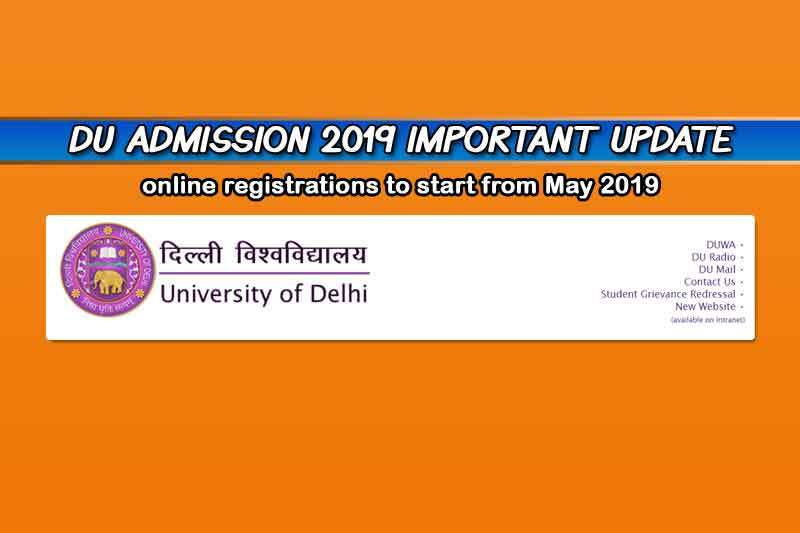 Delhi University Admission 2019 will most likely to start the admission process from 1st May 2019. The admission process will require the aspiring students to complete the registration form provided by Delhi University. The link will be available on their official website soon. The Delhi University registration form will allow the students to select their course preferences. Moreover, students who are willing to appear for the ECA Quota or sports Quota can also apply. Delhi University offers a wide range of courses with 86 active departments and 77 colleges. You can apply either for merit-based courses or entrance- based courses depending on your preference. Also, you can select the college after the cutoffs are released. 5% seat reservation in each college for both ECA and Sports quota applicants. The division of 5% in these two quotes can vary from college to college. ECA and Sports quota trials are likely to begin from May 20. The trials will be conducted separately from regular admissions, earlier it happened along with the regular admission. If a student changes his/her stream then deduction of 2% from the student’s total percentage will be done. Earlier it was 5%. The admission council of Delhi University is trying to collect the database of all students from CBSE. If the data is received before the admission process starts then it will automatically upload students mark sheet and other information. The registration forms are available for a limited time period only. Willing students should fill the form before the deadline. Delhi University will open a limited time period window for corrections in the application form after the closing of registration and application process. An application can withdraw his/her admission after other cutoffs are released. An applicant can withdraw his/her admission only 3 times. ECA and Sports quota students are required to upload their eligible certificates in the registration procedure. ECA and Sports quota trial details are released by Delhi University on their official website, students are advised to check the Delhi University portal frequently. The admission process for Jesus and Mary College and St. Stephens College is different from Delhi University general admission guidelines. Students have to fill separate admission forms for JMC and St. Stephens college along with Delhi University registration form. Please feel free to share these important updates about Delhi University Admission 2019. If you have any question related to DU Admission 2019 then use the comment box below we would love to answer all your queries.